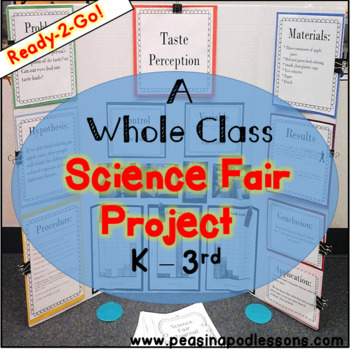 A ready-to-go ~ whole class ~ science fair project for your k-3 class! Use the pre-typed science fair board labels for your display or have the kids fill in the blank lined versions, depending on your timeline. The planning is done for you! 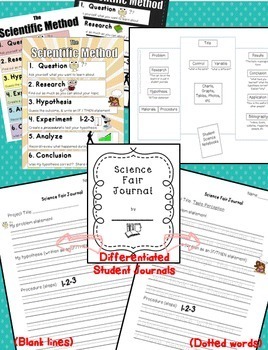 Differentiated student journals are also included. 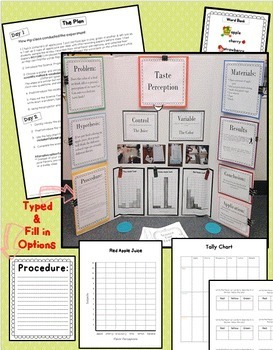 They follow the scientific method, but are kept simple for primary. Dotted guidelines are provided for students who are still learning to write. Question: Can our eyes fool our taste buds? Are you helping put the science fair together? 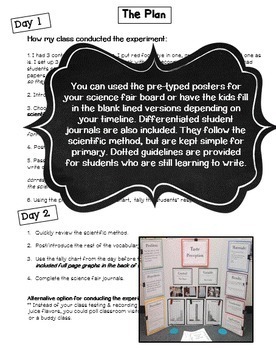 If so, check out my Science Fair Coordinator Pack! It includes awards, judging criteria, great science fair resources, project submission forms, and more! Mini Books and more ~ Throughout the Year! Thank you for visiting my ~Peas in a Pod ~ Teachers Pay Teachers store! Copyright: Copying any part of this product and placing it on the internet in any form (even personal/class website) is forbidden and is a violation of the Digital Millennium Copyright Act (DMCA).In purchasing this resource, you are agreeing that the contents are the property of Peas in a Pod and licensed to you only for classroom/personal use as a single user. I retain the copyright, and reserve all rights to this product. Thank you! Please click on the green star on any of my pages. You'll hear about upcoming FREEBIES! Next to each title is a Leave Feedback button. Click and leave a rating and comment to receive the credit. Go to TPT Credits to learn how to redeem your credits!